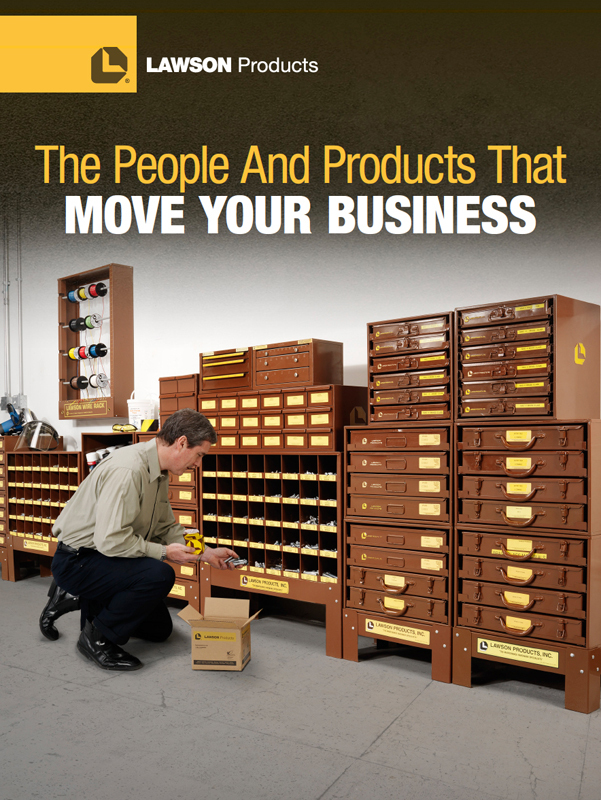 Working with my managers in the marketing department I revamped the design of the Lawson Products Corporate Brochure. This is the main document sales representatives use to introduce the company. 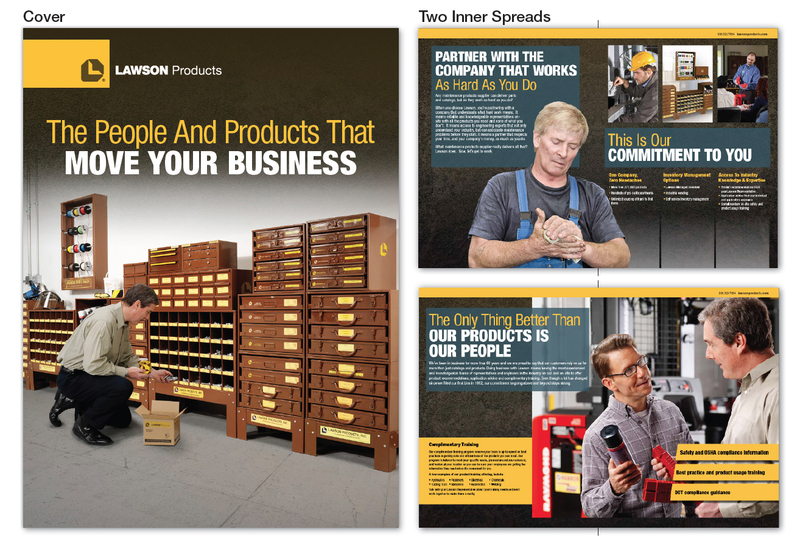 I brought a strong industrial look and feel to the piece that corresponds perfectly with the messaging “Partner with the company that works as hard as you do.” The overall design elements are a continuation of the elements I created for the main Lawson Products catalog cover and the Fleet Brochure launched earlier in 2013. It included the rich metallic texture, bold yellow stripes and the inclusion of a new tertiary blue brand color. 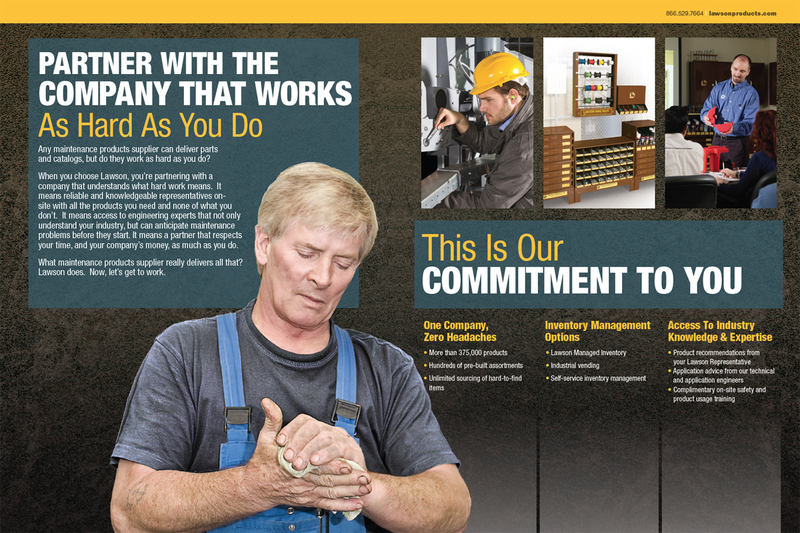 I saved the team money by creating a cover for the brochure by comping existing images in Photoshop. I feel the result was a professional looking cover featuring the Lawson “Brown Wall” bins and a hardworking Lawson representative.